Providing you the best range of ac voltage stabilizer, 175 kva 3 phase voltage stabilizer, voltage stabilizers for home appliances, industrial voltage stabilizer and voltage stabilizer with effective & timely delivery. Stepon Powermac is one of the most popular and experienced manufacturer and supplier of advanced and innovative AC voltage stabilizer. 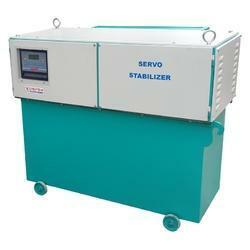 Backed by broad industry experience, we have been able to provide the finer quality range of stabilizer. Hence, manufactured using superior grade raw materials, these kinds of products are developed in the tandem with international norms and standards. 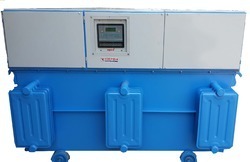 The Ac voltage stabilizer provided by us are highly appreciated and demanded their features includes strong construction, longer functional life, low maintenance, excellent performance and reliable performances. Unrivaled performance, durability, reliability, energy efficiency and low maintenance are the hallmark of our superior products. 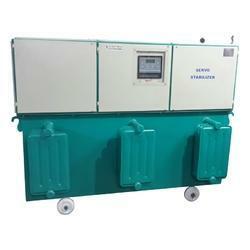 Stepon Powermac India Ltd is one of the familiar brands in voltage stabilizer world. 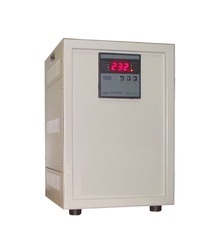 We have been producing various ranges voltage stabilizers with different capacities. 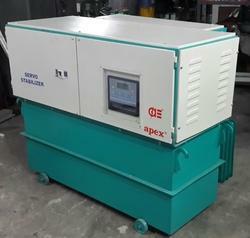 Our 175KVA 3 phase voltage stabilizer is one among those. We give high preference towards each and every phase of manufacturing, supplying and etc. Our innovative range of products is designed to fulfill needs of industries. We guarantee our products and their lifetime. With the consistent quality, our brand is demanded across the world. By being as a voltage stabilizer, it ensures strong performance, reliability, and durability. We are the professional and trusted services with the sole view to manufacturing the advanced, comprehensive and significantly incomparably creative range of Voltage Stabilizers for home appliances that are perfect sync with different industry requirements of both international and national market. The voltage fluctuation is the common issue in most of the places in India. With detailed observation of latest market trends, we are providing our customers quality stabilizer that is used to control the power fluctuations. It is manufactured with the utilization of the optimum quality components at our well-equipped production unit, which conforms to predefined guidelines of set industry standards. As one of the foremost manufacturers of Industrial Voltage Stabilizers, Stepon Powermac has brought to you the most modernized stabilizing solutions you can rely upon. We have designed these gadgets in order to make sure that these machines are capable of helping you to get rid of disorders related to high level of power consumption. These stabilizers are capable of handling huge tasks and dealing with the power consumption of heavy-duty machines of any industrial sector. You cab rely on these products as we are tested thoroughly a hundred times before we are introduced into the market by the manufacturers. You can also avail them online through their online portal, where we are available every day from morning till night throughout the year. At Stepon Powermac, you shall get the best options of Voltage Stabilizers to choose from. They are designed just to suit the needs of our clientele. The voltage stabilizers are best suited to condition the amount of electricity your gadgets and electrical equipment consumes. The manufacturers have devised this machine in order to ensure that they give out the maximum performance without being a headache in case of power consumption. Stepon Powermac brings you a range of Voltage Stabilizers that solve the issue of irregular power cuts and sets up a stable environment in your work premises. These machines are adequately made up of techniques that are suited to assist different operational machines in almost every industry.